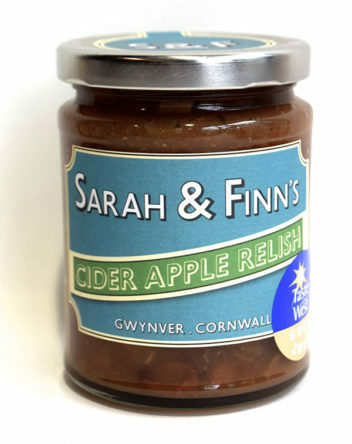 Sarah & Finn’s Cider Apple Relish is home made at Gwynver near Penzance, Cornwall, just over half an hour from our shop in Falmouth. 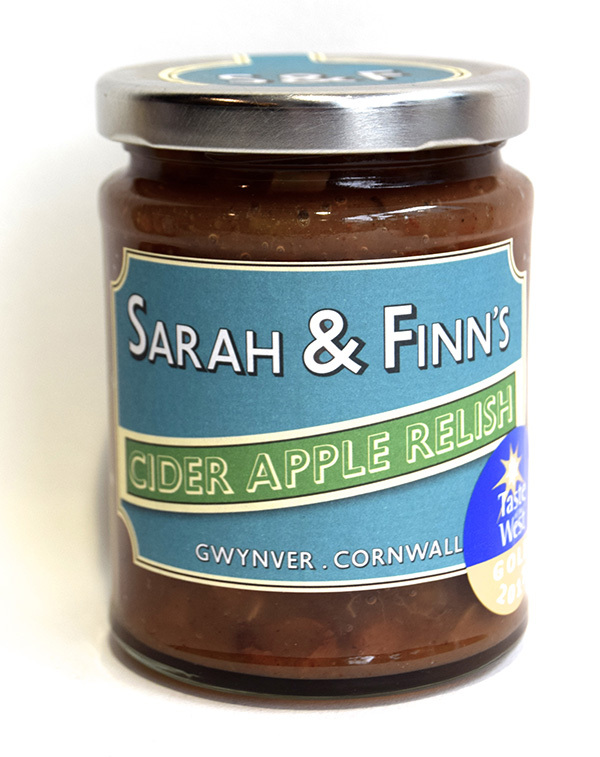 The Cider Apple Relish is a Gold Medal winner and is made from the finest local cider apples, which achieves the perfect balance of sweetness and acidity; seasoned with Cornish Sea Salt and has a warming hint of mixed spice. It goes perfectly with Sunday Roast Pork and is a great accompaniment to cheese. Contents; Apple(75%),Vinegar, Sugar, Sultanas, Garlic, Mixed Spice, Cornish Sea Salt. 300g.